Digital Artist Residency (DAR) is an online platform which provides a space for artists to develop ideas and display new artwork. The initiative aims to provide support for artwork created using digital processes, exploring the boundaries of art and technology. DAR is looking for proposals for online exhibitions from artists/curators for April, May, June and July 2019. DAR is interested in creating net art and interactive online exhibitions. We are looking for challenging, engaging online works which communicate a critical understanding of the internet. Digital Artist Residency (DAR) is an online platform which provides a space for artists to develop ideas and display new artwork. The initiative aims to provide support for artwork created using digital processes, exploring the boundaries of art and technology. DAR is looking for proposals for online exhibitions from artists/curators for April, May, June and July 2019. DAR is interested in creating net art and interactive online exhibitions. Artists would need to communicate clearly how these works would be appropriate for DAR’s online context. DAR is accepting proposals from practitioners who work with a variety of practices which may include performance, sculpture, film, video, net art, video, sonic art, live works and cross-disciplinary practices. We are also interested in artists working with exclusively online practices too. Groups may apply as well as individuals. We are looking for challenging, engaging online works which communicate a critical understanding of the internet. We are accepting proposals from artists seeking solo exhibition/projects for the duration of a month or for curators to propose group exhibitions/ residencies/performances which can last for up to 2 months. The month-long residencies are open to artists working in any discipline and/or medium responding to digital themes, and from anywhere in the world. Chosen artists must submit at least one post onto DAR’s website per week. · A page on DAR’s website which on average attracts 5000 viewers each month. This page normally takes the style of a blog, but artists are encouraged to be ambitious with any specific ideas about how they want their work presented. Write these ideas on your project proposal and we can discuss how they can be realised. · Technical support in achieving the aims of the online residency. Digital Artist Residency (DAR) is an online platform which provides a space for artists to develop ideas and display new artwork. The initiative aims to provide support for artwork created using digital processes, exploring the boundaries of art and technology. DAR is looking for residents for June, July and August 2018 responding to the theme of - THE CLOUD. DAR is looking for proposals for online projects and works which respond to the interaction and the understanding of themes surrounding - THE CLOUD. The Cloud is increasingly encroaching upon all users, promising wireless storage, processing, and ease of use. The project aims to explore the politics, environmental concerns, and culture that affect the vast shift towards massive data-farm integration and cloud computing. We are interested in projects that deal with research interactions between digital, online spaces and/or their physical materiality. Artists would need to communicate clearly how these works would be appropriate for DAR’s online context. DAR is accepting proposals from practitioners who work with site-specific practices which may include performance, sculpture, film, video, New media, video, Sonic art, live works and cross-disciplinary practices. We are also interested in artists working with exclusively online practices too. Groups may apply as well as individuals. Our February residenct Alix Rothnie is initiating the project Pricele$$ Art Market. See her page here to read about how you could get involved. The Museum of Oxford has been working with local Oxford community groups for twelve months, developing projects with outcomes based on urban and surburban spaces and communities that will exhibited in the Town Hall Gallery from February to April 2018. The digital residency provides an online space on DAR’s site for artists to develop works, ideas and practices. 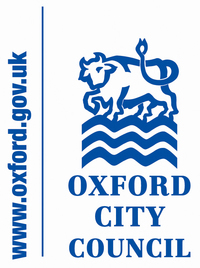 The resulting work will culminate in an exhibition at the Museum of Oxford during the Urban Oxford exhibition. The Urban Oxford residency will take place online from 3rd Feb – 28th April 2018 coinciding with the physical exhibition at the Museum of Oxford. We are looking for artists to propose new works which use digital processes and techniques to create work around the theme of Urban Oxford. Proposals need to explain how the artist would use digital responses to urban environments in Oxford. We are interested in projects that deal with research interactions between digital, online spaces and/or their physical locations in Oxford. Artists would need to communicate clearly how these works would be appropriate for DAR’s online context and the Museum of Oxford’s Urban Oxford exhibition. DAR is accepting proposals from practitioners who work with site specific practices which may include performance, sculpture, film, video, New media, video, Sonic art, live works and cross-disciplinary practices. We are also interested in artists working with exclusively online practices too. Groups may apply as well as individuals. The residencies are open to artists working in any discipline and/or medium, and from anywhere in the UK. DAR and Museum of Oxford are particularly interested in proposals from artists working with digital practices that can be realised in a physical exhibition at Museum of Oxford. We are interested in artists who can make use of DAR’s 24/7 access and multimedia facilities such as live streaming. The exhibition will be held in the Gallery, Oxford Town Hall from 3rd February and 28th April 2018. The exhibition will feature photographs, art, creative writing, and other media from community groups and local people in Oxford that the Museum of Oxford has worked with between November 2017 and February 2018. There will be a focus on urban art including well known pieces of graffiti and visual street art in Oxford, performance art and music. • Budget for materials, promo and travel. • Exhibition at The Gallery, Oxford Town Hall. • A page on our website. (This is sometimes a blog, but artists are encouraged to be ambitious with any specific ideas about how they want their work presented, write it on your project proposal and we can discuss how this can be realized). • Technical support in achieving the aims of the online residency. • Support and promotion of the artist and their work through our networks. • Proposal of project (max 500 words) including a timescale explaining what outcomes you aim to achieve during the residency. with “DAR Urban” in the subject line. *** Deadline for applications is Sunday 7th Jan 2018 at Midnight GMT. Artists: Ian Keaveny, Kiah Reading, Tom Smith, Sarah Levinsky & Adam Russell, Joshua Byron, Marc Blazel, Samuel Fouracre, Micheal O’Connell, Naomi Morris, lyve_forms, Mette Sterre and Amble Skuse. FAILURE IN CHROME showcases the talent from around the world working with digital performativity. Artists’ work deals with research interactions between digital, online spaces and/or their physical materiality within performance, with an approach which creates discourse around error or failure within these manifestations. Each artist will exhibit for one week on DAR’s online residency space with a live-stream performance at the end of each week by the resident artist. Museum of Oxford and Digital Artist Residency are jointly hosting an opportunity for an artist working in digital media to respond to the theme of Journeys to Oxford. Journeys to Oxford is a Museum of Oxford exhibition celebrating the vibrant cultural contributions made to life in Oxford by those who have travelled here to live, work, visit and study. The Museum of Oxford has been working with local Oxford community groups for twelve months, developing projects with outcomes that will exhibited in the Town Hall Gallery from June to November 2017. 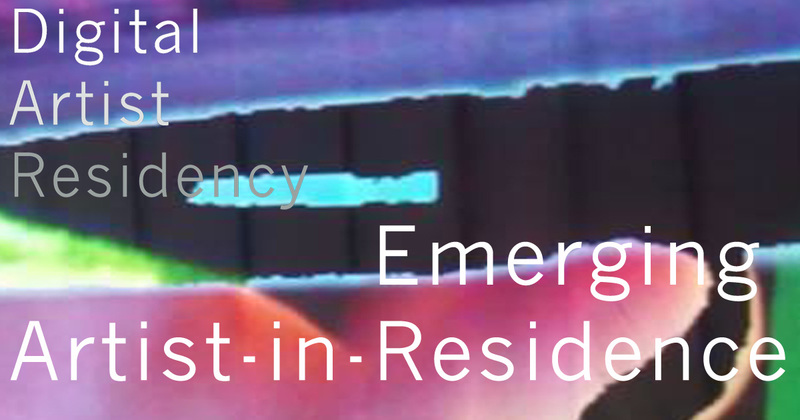 The digital residency provides an online space on DAR’s site for artists to develop works, ideas and practices. The resulting work will culminate in an exhibition at the Museum of Oxford during the Journeys to Oxford exhibition. The Journeys to Oxford residency will take place online from 10 June – 10 September 2017. The physical exhibition will then commence from 8th September – 4 November at the Museum of Oxford. We are looking for artists to propose new works which use digital processes and techniques to create work around the theme of Journeys to Oxford. We are interested in projects that deal with research interactions between digital, online spaces and/or their physical locations. Artists would need to communicate clearly how these works would be appropriate for DAR’s online context and the Museum of Oxford’s Journeys to Oxford exhibition. DAR is accepting proposals from practitioners who work with site specific practices which may include performance, sculpture, film, video, New media, video, Sonic art, live works and cross-disciplinary practices. We are also interested in artists working with exclusively online practices too. Groups may apply as well as individuals. The exhibition will feature objects, photographs, textiles, art, creative writing, sculpture, oral history, and archival materials from groups whose work will feature in the exhibition including: Oxford Hindu Temple, Refugee Resource, Oxford’s Polish Society, Oxford International Twinning Links, Bayard’s Hill Primary School, two of Oxford’s ESOL groups, BKLUWO, the museum’s Memory Lane reminiscence group, Cowley Road Carnival, the museum’s community curators group, and the Museum of Oxford Art and Creative Writing groups. The exhibition will also feature photographs from the Migration Museum Project. • A page on our website. (This is normally the style of a blog, but artists are encouraged to be ambitious with any specific ideas about how they want their work presented, write it on your project proposal and we can discuss how this can be realized). with ‘DAR Journeys’ in the subject line. The EAiR will take place online between May - June 2017, with each selected artist having TWO MONTHS to complete a proposed project. The project will culminate in a group exhibition at OVADA in Oxford in July 2017, with specialist curatorial guidance and technical support from DAR and OVADA. Each chosen artist receives a fee of £500 plus there is a small budget for materials for the exhibition. DAR has teamed up with OVADA to showcase the UK’s best new emerging artistic talent. We are looking for proposals for projects and works which respond to the interaction and the understanding of various digital themes. We are interested in projects that deal with research interactions between digital, online spaces and/or their physical materiality. Artists would need to communicate clearly how these works would be appropriate for DAR’s online context. DAR is accepting proposals from practitioners who work with site specific practices which may include performance, sculpture, film, video, New media, video, Sonic art, live works and cross-disciplinary practices. We are also interested in artists working with exclusively online practices too. Groups may apply as well as individuals. The residencies are open to emerging artists and recent graduates working in any discipline and/or medium responding to digital themes, and from anywhere in the UK. DAR and OVADA are particularly interested in proposals from artists working with digital practices that can be developed and realised in a physical exhibition at OVADA. We are interested in artists who can make use of DAR’s 24/7 access online and multimedia facilities such as live streaming. Chosen artists must submit at least one post onto DAR’s website per week over 8 weeks in May – June 2017. • A page on DAR’s website which on average attracts 5000 viewers each month. This page normally takes the style of a blog, but artists are encouraged to be ambitious with any specific ideas about how they want their work presented. Write these ideas on your project proposal and we can discuss how they can be realised. • Support and promotion for the artist and their work through its network. • A permanent web archive of work produced during the residency and photographic documentation of the exhibition at OVADA. As part of the criteria for participation, each artist will be expected to give one edition of an artwork or print to DAR. with ‘DAR EAiR’ in the subject line. 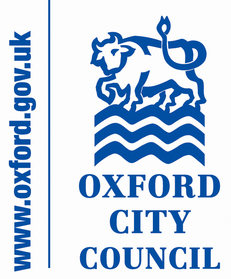 This project is supported by Arts Council England, Oxford City Council and the Museum of Oxford. DAR's February resident talks to us about his practice. DAR: : For this residency, you're exploring themes present in your work before about housing. How did this come about? Nick Barrett: Initially it was just an interest with the aesthetic quality of bricks. I found the old London stock bricks which built the majority of London's period properties particularly intriguing and thought that the brick itself represented a symbol of the value of space in a city where living and working space is such a prominent factor in most peoples lives. There was something poetic about the bricks construction, being created from a combination of brick-earth sediment and London clay, mixed with ash taken from the burning of the cities rubbish, they seem to exist as a literal embodiment of London. Peter Ackroyd describes a city that has ‘raised itself from its primeval origin’, a comment on the construction of buildings from the earth upon which they stand, and thus a meeting of ancient geology with current human settlement. Around the same time I had been experimenting with a printing technique which involves using a desktop laserjet printer and metallic foil which is used to make shiny text or patterns on gift cards, and ended up making these monolithic enlargements of individual bricks with multi-layers of different coloured foils. I followed this up with a series of prints based on bricks found at various locations across London, skipped outside of houses, and worked out their individual value in relation to the speculative value of the house at that particular postcode. With the more recent work and for the work in the residency I have delved further into the politics surrounding lived space and found myself contemplating the effects that the built environment has upon the individual, taking influence from the situationists ideas on rupture and revolution. DAR: Talk us through some of the processes you use to create the works? NB: I settled upon making GIFs for all the work as I find the format a happy medium between a simple image and film. It seemed the perfect medium for a short attention span and I didn't want to make anything that took a large investment of peoples time to watch and analyse. There's an obvious place for that in film and the gallery space, but I saw this project as an exploration of the limitation of online space and the vastness of content out there, so to capture peoples attention with an animated image felt like the best way forward. I tried to mix up the process to include photos, digital images and even some painting just as a bit of a challenge. The GIF of the brick wall utilises Google Deep Dream software, where I uploaded a Charles Booth Poverty map of Whitechapel in the nineteenth century overlaid with a current satellite image of the same area and the brick wall. I was thinking of a quote from Patrick Keiller's film London, 'Robinson believed that, if he looked at it hard enough, he could cause the surface of the city to reveal to him the molecular basis of historical events, and in this way he hoped to see into the future.' There's also an edited film of pigeons flying past my window in there too. I imagine pigeons as these wise creatures that have been able to manipulate humans for their survival and remain a constant in cities since they were first constructed. In that way they seem to traverse time and space in a unique way, being able to navigate a city beyond the scope of our current technology. I like pigeons. DAR: Do you see a future for this project beyond what is exhibited on DAR? If so, where and how? NB: I see the project as part of a larger narrative that I want to continue researching and I imagine I'll carry on making the digital work as a process to inform the physical work. 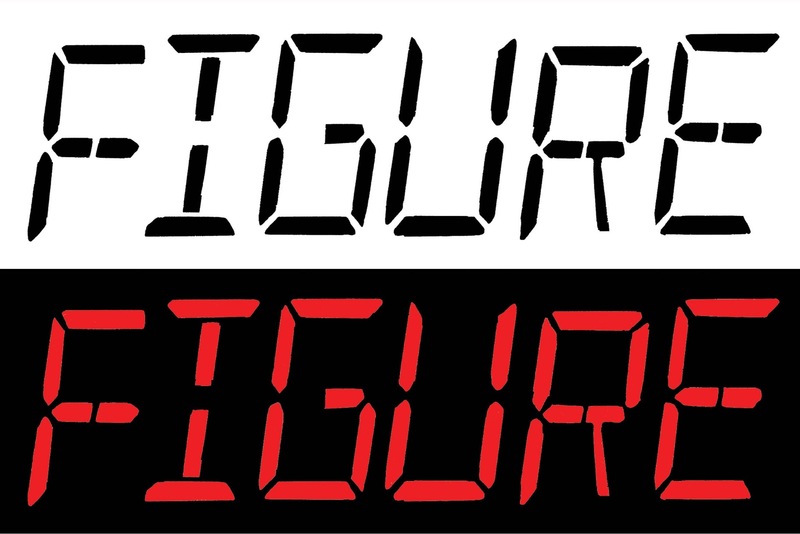 I'm currently making some related work for a couple of shows that will take the form of sculptures or installations based around appropriated estate agent signs. I'll be showing these at a group show with The School of The Damned at SET, Bermondsey opening on 17th March and then at The Royal Standard, Liverpool on 7th April. The digital residencies provide an online space on our website for artists to develop works, ideas and practices. Residencies will take place online between March – June 2017, with each selected artist having ONE MONTH to complete a proposed project. DAR is looking for proposals for online projects and works which respond to the interaction and the understanding of various digital themes. We are interested in projects that deal with research interactions between digital, online spaces and/or physical locations. Artists would need to communicate clearly how these works would be appropriate for DAR’s online context. DAR is accepting proposals from practitioners who work with site specific practices which may include performance, film, video, New media, video, Sonic art, live works and cross-disciplinary practices. We are also interested in artists working with exclusively online practices too. The residencies are open to artists working in any discipline and/or medium, and from anywhere in the world. DAR is particularly interested in proposals from artists working collaboratively in different physical locations who could work on DAR together. We are interested in artists who can make use of DAR’s 24/7 access and multimedia facilities such as live streaming. Individuals as well as artist groups can apply. Chosen artists must submit at least one post per week. o A page on our website. This is normally the style of a blog, but artists are encouraged to be ambitious with any specific ideas about how they want their work presented, write it on your project proposal and we can discuss how this can be realized. o DAR offers technical support in achieving the aims of the online residency. o DAR will support and promote the artist and their work through its network. with ‘DAR Residency’ in the subject line. DAR talk to December's resident artist about her project "Ghost Town Initiative". DAR: Miwon Kwon said "...the space of our public conversations is now fully circumscribed by the camera or the media: life is footage waiting to be shot. Experience is not real unless it is recorded and validated through media representation.” Does you work deal with issues surrounding site and technology? Or Virtuality? EKA: Yes, my work does deal with site, technology and especially virtuality. I was interested in the possibility of virtuality as a tool that might allow us to go beyond representation as the only means of validation. In other words, rather than “representing” an experience, I was interested in imagery that could be embodied, and become an experience in itself. So much of our time in front of a computer is spent on the act of looking, establishing a certain distance between the subject and the object of vision... I wanted to breach that distance, and move from ‘looking’ to ‘embodying’. To Miwon Kwon’s quote I would like to respond with another one, by William Mitchel who had this to say about our experience within cyberspace: “ ‘Inhabitation’ will take on a new meaning – one that has less to do with parking our bones in architecturally defined spaces and more with connecting your nervous system to nearby electronic organs. ” Ideally, to engage in my new project Ghost Town Initiative/Los Despoblados (GTI) –which allows internet visitors to go to GoogleMaps and virtually stroll through abandoned towns inhabited by “ghosts” from another time - viewers would be equipped with Virtual Reality Glasses, so that they might actually find themselves ‘inserted’ into the project’s virtual towns. This technology is now available to everyone with access to a smart phone or a computer; GoogleMaps even has instructions on how to make virtual glasses at home. There is still an obvious distinction between that which is “virtual” and that which is “real”. However the intertwined nature of these experiences has come to define our daily life. GTI explores how the body’s place in cyberspace and in the real world embodies different experiences as the context shifts between the two places, and how such individual experiences can be interconnected with others. Blurring past and present additionally explores issues of collective memory as well as collective identity. EKA: The majority of my time in a project is spent doing research. When I get a new idea I want to work on, usually I find it has been sparked by a new place I have just visited, or by something I have read, or by a political event, etc. Once the idea takes root, I want to know who else has worked on similar issues in other fields, what has been written about it, and what has already been created. In general, I feel there is such an oversaturation of visual content that I do not want to add to it unless there is something new I can bring to the conversation. GTI was a step in a new direction for me. I had just recently finished writing a thesis on the artist’s body in cyberspace, and the web as a space was very much on my mind. This was the first time I was working with a digital camera rather than analog, and GTI’s imagery was to be directly added to a public and collective space: GoogleMaps. To be able to shoot the project and create 360 virtual tours, I first had to join their Local Guide Program and become a Trusted GoogleMaps Photographer. That involved taking a lot of 360 images everywhere I went before I could even begin to shoot and publish GTI’s imagery. Shooting the 360 images in the abandoned villages was like a small film production: acquiring costumes, recruiting actors and volunteers, shooting all the material, and then publishing it on the web after a little postproduction. DAR: Talk us through the compositions of some of the shots and decisions behind them. EKA: Since GTI was a project that dealt with the past, memory and the myths generated through the collective imagination, I tried to recreate daily scenes that might have once happened in these villages. A lot of the scenes came from stories my family told be about their lives in similar villages. I also tried to find as many photographs as I could depicting daily life in Spanish villages of the time, in order to base my compositions on actual scenes from the past. However I wanted to portray a diversity of events that occurred in a village, and for the project to work, all actors needed to maintain the exact same position for hours and still look natural rather than as if striking a pose. This could have been a disaster as many poses were very hard to maintain for a long period of time. One of the scenes required the actress to balance a large tray of bread on top of her head for three hours. Ultimately I was very lucky that most of the people that portrayed the ghost villagers were part of Juan Carlos Prieto’s theater troupe: they were wonderful to work with and did a great job, especially given that it was freezing during most of the production! EKA: I do! There are still a lot of abandoned villages I want to add to the project, each from a different region and each with its own specific traditions. Besides visiting the towns through GoogleMaps, I think it would also be interesting to create a physical exhibition of the project where the towns would be visible through a system of projectors, and people could physically walk through their virtual representations. If this were possible, rather than being an invisible and individual experience, the visit would become visible and collective. The next step would be recording such visit so that the new visitors themselves could come to be included within the imagery of the town, thus becoming, in a sense, part of the history of the village itself. Elena Kendall-Aranda’s work is primarily focused on the construction of the feminine in contemporary western society. Through the investigation of feminist theories, social biases, Internet culture and mass media practices, she addresses issues of identity and embodiment with photography, text, and new technologies. By conjuring narratives that coalesce and collapse, Kendall-Aranda seeks to use online applications that can operate simultaneously in physical and virtual space to create new meaning that makes us reflect about our social-political culture. The digital residencies provide an online space for artists to develop works, ideas and practices. Digital Artist Residency is an online platform which provides space for digital artists to create and display new artwork. The initiative aims to provide support for artwork created using digital processes, exploring the boundaries of art and technology. According to Spain’s National Institute of Statistics, by 2007 there were over 2.800 villages listed as abandoned. These crumbling towns are, in a very real sense, visual monuments to a moment in time the rest of the world has long forgotten. During the residency, Kendall-Aranda will re-contextualize Google Maps and use it as a tool for virtually visiting a physical location, the Ghost Town Initiative will allow viewers to achieve a strikingly new perspective on our collective past and present. DAR is excited to announce that our next artist in residence is Jane Frances Dunlop. Jane Frances Dunlop is an artist and writer whose work addresses emotion and performances of relation on the internet. Her work examines the affective and aesthetic conditions produced in societies of digital ubiquity. Currently, her work focuses the production of dissonance and friction in these relations – as a technological as well as affective quality of the postdigital every day. During her DAR residency, she will investigate these themes through a concentration digital constructions of rarity and the mundane. In this residency, the browser is the site of a choral experiment for digital video and sound. Each week a new ‘movement’ will addresses a different facet of the ‘rare’ or ‘mundane’ in the abundance of images and videos produced and reproduced on the internet. A cacophony of material will accumulate over the residency to produce a digital chorus with shifting syncopations and synchronies. The digital residencies provide an online space on our website for artists to develop works, ideas and practices. Residencies will take place online between Nov - Dec 2016, with each selected artist having ONE MONTH to complete a proposed project. DAR is looking for proposals for online projects and works which respond to the interaction and the understanding of various digital themes. We are interested in projects that deal with research interactions between digital, online spaces and physical locations. Artists would need to communicate clearly how these works would be appropriate for DAR’s online context. DAR is accepting proposals from practitioners who work with site specific practices which may include performance, film, video, New media, video, Sonic art, live works and cross-disciplinary practices. We are also interested in artists working with exclusively online practices too. Please list the dates of residencies in order of preference on your proposal. We were delighted with the huge response to our open call for artists to respond to the idea of SPACE//PLACE and received a vast amount of fascinating site-specific proposals. After some difficult decisions we are really happy with the artists we have chosen and are really excited to get the projects underway. Of course, some of our artists have started already! Annie Briard (Canada) is undertaking a dual physical and virtual residency. Briard is conducting her DAR project whilst in residence at Linea de Costa, Cadiz. Sirin Bahar Demirel & Marsha Franco (Turkey/USA) are exploring the time-shifting nature of their dual co-ordinates. Demirel & Franco will be updating their site everyday with simultaneous images of their surroundings. We really appreciate all the work these artists are doing to create such challenging projects and are excited to see where the projects take us! More information about Jack Marder, Simon Woolham and Alison Ballard's residencies will be available in the next couple of weeks. The digital residencies provide an online space on our website for artists to develop works, ideas and practices. Residencies will take place online between May – June 2016, with each selected artist having SIX WEEKS to complete a proposed project along the theme of: SPACE / PLACE. DAR is looking for proposals for online projects and works which respond to the interaction and the understanding of Place and Space. We are interested in projects that deal with research interactions between digital, online spaces and physical locations. Artists would need to communicate clearly how these works would be appropriate for DAR’s online context. DAR is accepting proposals from practitioners who work with site specific practices which may include performance, film, video, New media, video, Sonic art, live works and cross-disciplinary practices. We are also interested in artists working with exclusively online practices too. • Proposal of project (max 500 words) relating to site specificity/ place/ environments; including a timescale explaining what outcomes you aim to achieve during the residency. *** Deadline for applications is Friday 15th April 2016 at 5pm. Tom Milnes: Talk us through the process for your 10 day progressive time lapsed videos. Kuai Shen: My original intention was to try to extract a piece of the fungus garden of my leaf-cutter colony, let it rot (without the ants caring for it, the fungus starts decomposing >> you see it on the live video streaming on the page) and lay it over a chunk of discarded electronic circuitry, so that I can take time lapsed pictures of its decomposing process, sort of embedding itself on the digital waste topology, returning to the silicon valley. I thought it would be the first easy step on a series of a few experiments. But I was wrong. It wasn't as easy as I thought and it wasn't becoming part of that 'miniature electronic wasteland' as I had in mind at the beginning. Particularly, given the time span for the decaying process. We're talking about time relativity here. Fungal strains grow really really slow, specially on a medium which was not providing nutrients or water. In other words, the fungus was not turning into a parasite of the physical circuitry, but it was an organic decaying form nevertheless. The first raw images were disappointing. I mention raw, because on the one hand I wanted to post the original images, and on the other hand, I used a Canon EOS 600D with a macro EF 100mm in digital RAW format. I find these kind of unforeseeable events great to work around new approaches: I went on to work with the dead bodies of ants of my colony instead, which were colonized by different bacteria (species unknown to me at this point). So, the image sequences were actually taken one by one and filtered through many encoding and compression techniques using a Raspberry Pi 2 - armv7l, its GPU pushed to the max, working day and night at exporting very large formats. The idea was to deplete the memory of the Raspberry Pi while running different commands at the same time, for instance: the same R-Pi was being used for the live video streaming (and it is still working! ), while it was compressing the sequence using several python scripts (my thanks to Antonio Roberts for sharing that sick code: https://github.com/hellocatfood/What-Glitch--scripts) that mess with the bytes and digital structure of files. TM: What parallels do you draw on between insect ecologies and digital systems? KS: Insects possess malleable forces of wireless communication: antennae and chemical sensors for the transmission and reception of messages, the coding and decoding of information. Their resemblance to technology is fantastic, in the sense that artistically you can create a hybrid milieu where the organic and the artificial can coexist, albeit for a short time, but still an instance for attempted mutualism. Bees' orientation for instance is disturbed by man-made electromagnetic fields, just as fire ants and the so-called electric ants, are attracted to these and stimulated by electricity. You have 'hacker' bugs on the ecology of insects, namely many species of insects, like parasitical wasps, staphylinids and spiders, crack the pheromone code of others to deceive them, prey on them or get protection from other predators. The restructuring of our society has a lot to do with finding "other" models and systems we can mimic to induce local change, because everything needs to start from underneath, like the ants constructing little by little and emerging from the ground. The nurse ants transporting the larvae from one chamber to another, the workers cutting vegetation to cultivate the fungus garden, and the workers managing the waste and garbage, maintaining the hygiene in the nest: it's an information network. All these actions are social in nature. I see digital systems being social, too, or rather put this way, digital systems afford social organization. The movements of ants represent a social movement, they can be compared to cells, to neurons, even to decentralized networks on the internet. To this extent, the fact a zombie ant movement is controlled by its parasite, adds to the parallel materiality being manifested by both insect ecologies and digital systems. Certainly, we can enlarge the chronological impact of ants on science and realize they have regularly served as models for technology. Continually we are programming algorithms into non-player characters, digital simulations and swarming phenomena. The cellular automata, the ant colony optimization programs -and regarding my project at DAR the glitch as an algorithm of rupture but at the same time creation- they are all deeply integrated in the digital simulations-applications-experiences of humans, to the extent we do not notice them anymore. They have become to my opinion insect avatars, in other words, manifestations of non-human forces in the technological topologies of culture. TM: During your residency you asked “How far can we go without technology?” What did you mean by this and what interests you? KS: A romantic retrospective. I believe in the cycles of life. Sooner or later, everything returns to the beginning. I'm daring to ask if we would be able to survive the zombie apocalypse (no pun intended) without technology. We are so dependent on technology that we have become blind, the technologic regime has to be overthrown. In the words of Heinz von Foerster: we do not see that we do not see. I'm interested in returning to the basics. Doing it all over again and again by yourself ...or with others. I don't want to depend on optimization algorithms. True, I mention ants as an optimization model for technology, but I am not praising technology for mimicking nature. I am revealing the dependency so we can tinker with this space and time in order to break it, glitch it and turn obsolescence into something new. Forget your smartphones and google maps and ask for directions! TM: Conversely, how far do you think technology will go? Is there a chance we will become zombies ourselves? KS: That is where I want to get people's attention to. There are two ways to see a zombie: a zombie is a slave or a zombie is a parasite. The latter means to me: an entity trying to be mutual but doesn't know how. Some humans are already slaves of the reigning capitalist system. The best achievement of human technology is mimicking natural models. So, as long as there is a natural model to learn from, to mimic, technology will go on forever. The digital residencies provide an online space on our website for artists to develop works, ideas and practices. Two residencies will take place online between February – March 2016, with each selected artist having one month to complete a proposed project along the theme of: Stereoscopy / 3D scanning printing. DAR is looking for proposals for online projects, research and works which respond to the interaction and understanding of 3D objects and environments. We are interested in projects that deal with research on the failures and successes of these technologies throughout history and any speculative research on 3D’s possible impact on contemporary culture. Artists would need to communicate clearly how these works would be appropriate for DAR’s online context. We are interested in proposals from practitioners who work with 3D scanning / printing, stereoscopic film and video and any cross-over techniques. The residencies are open to artists working in any discipline and/or medium, and from anywhere in the world. However, we are particularly interested in proposals from artist working with: New media, video, Sonic art, performance, live works and cross-disciplinary practices. Chosen artists must submit at least one post per week. • Proposal of project (max 500 words) relating to 3D video/film/scanning/printing including a timescale explaining what outcomes you aim to achieve during the residency. with "DAR Residency" in the subject line. Individuals as well as artist groups can apply. Curator of DAR, Tom Milnes, speaks to Jason Brogan about his work and processes. TM: What do you look for in a technology to use as a material/starting point? JB: For the Operas for Zombie Media project, I’m specifically interested in outdated or obsolete, consumer-oriented, sound technology—for instance, a turntable, portable CD player, or a first-generation iPod Touch. Admittedly, these technologies might not be considered totally outdated, but our contemporary culture has nonetheless moved on from them to more recent versions or entirely new technologies. Each object that becomes the focus of a piece in the series is found and investigated “as-is”; moreover, it’s in an unused or even broken state. Nonetheless, these objects persist physically even if they’re culturally repressed or forgotten. Admittedly, I’ve always maintained an interest in sound equipment. In fact, I suppose my media archaeological tendencies originated in taking apart various pieces of the home stereo throughout my childhood. TM: With your sound work on DAR, your work strikes me as though it likes to test the limits of certain technologies, can you give details of how it does? JB: Each technology in the series generates a piece, and in doing so, it presents certain challenges. 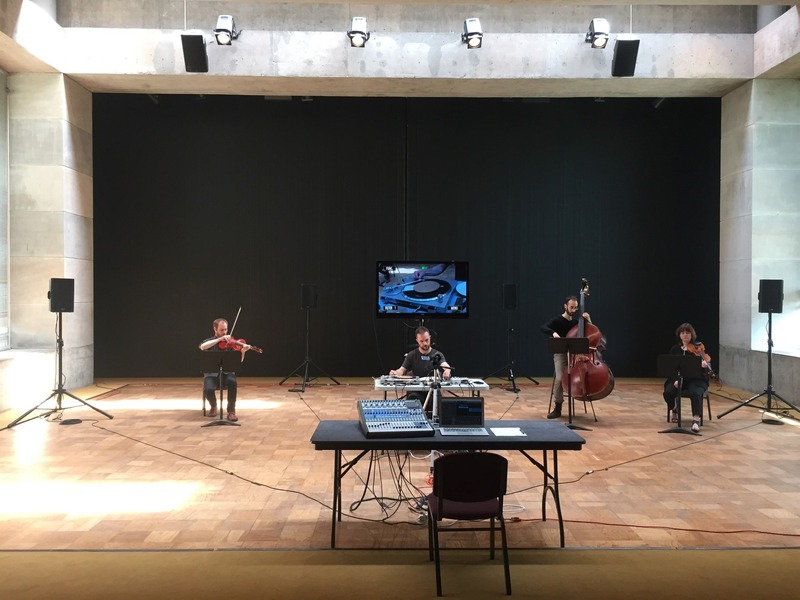 In this sense, I feel that methodology is guided by concerns similar to those of composer Alvin Lucier, who made pieces, such as Music for Solo Performer, Vespers, or Clocker, which were inspired by specific pieces of equipment. Like him, my primary interest is in creating a situation wherein the sound material generated by each device flows according to its own laws or mechanisms and influences a new experience. Earlier technology like a turntable, literally driven by accessible parts and engineered to be fixable, almost readily invites intervention or tinkering, hacking or repurposing. With a turntable, one simply applies pressure to the platter and it immediately slows down the rotation speed. The platter itself might then be amplified via a microphone. Often, if a device has its own output, I intentionally try to avoid using it. Unlike the turntable, an iPod Touch was designed as a “black box,” which means that its inner workings are generally unknown to its user, and the mechanisms by which it functions are inaccessible. If it breaks, it’s most likely unfixable, and eventually, its software will no longer be supported; this is planned obsolescence. Clearly, this particular technology demands an alternative approach to hacking or repurposing. For instance, one might therefore focus on amplification or sonification techniques, or consider uploading and playing back damaged mp3 files. TM: Would you say you play with ideas of ‘redundancy' or even ‘failure' in your work? JB: Definitely. A piece of equipment might be broken or have a failing mechanism, and this will often be exploited sonically by way of amplification, or it might drive the form of a piece. Within the context of the project, each piece constitutes an aria—or a solo of sorts. Some pieces of equipment offer highly contingent sonic material—with no apparent reason at all, and perhaps due to a malfunction or glitch, the sound world of an old portable CD player might change dramatically from one moment to the next; the needle of a turntable might totally fail and give way to a new, unexpected and unintended sound world. role to artist’s aesthetic or conceptual choices? JB: With the exception of my computer, software, and recording or DSP hardware, I’ll admit that within the context of my project, I avoid paying for the devices used; I’m invested in reuse and recycling. Again, as this might entail the use of broken technology, I accept whatever sonic terrain is generated by the equipment. Thus, each piece more or less constitutes the exploration of this understandably shaky ground. This process results in an electro-acoustic assemblage of equipment, microphones, and cables, and both human and non-human agencies. There is undoubtedly a kind of forensic quality to all of this, as if I were conducting a preemptive autopsy on the respective device. TM: And do you foresee this trend of hacking/ Zombiefiying media continuing in the future? How will it change? JB: Given both our current and future ecological and economic conditions, I do foresee it continuing into the future. Undead technology will continue as an unavoidable part of everyday life, and as a reminder of non-human (and non-linear) temporalities. Moreover, creative methodologies that utilize hacking, circuit bending, recycling, repurposing, and remixing are not only of artistic interest; they might easily be applied to the domain of design and technology. The digital residencies provide an online space on our website for artists to develop works, ideas and practices. Three residencies will take place online between October – January, with each selected artist having one month to complete a proposed project along the theme of: Media Archaeology/ Zombie Media. Media archaeologists have challenged the rejection of history by modern media culture and theory alike by pointing out unnoticed continuities and ruptures. We are interested in proposals from practitioners who work with media archaeological techniques. with DAR Residency in the subject line. Deadline for applications is Friday 2nd October 2015.